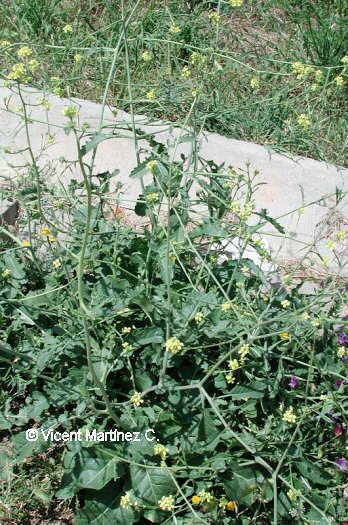 Annual herb of the Crucifer family – Cruciferae – up to 80 cm. Numerous stems, with short, rigid hairs. Pinnatolobated or pinnatisect leaves; Upper ones, clasping. Yellow flowers, till 1 cm. Fruit in silique, till 4.5 cm. In Cultivated lands and dry grasslands.